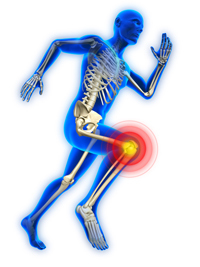 The patella is the round, foremost bone in your knee, which is commonly known as the kneecap. It protects your knee joint from direct blows and provides stability to the knee. An injury to your kneecap could hinder your ability to exercise, lift heavy objects, or even walk. It could potentially lead to chronic kneecap pain in Los Angeles. You don’t have to live with knee pain. At Meier Orthopedic Sports and Regenerative Medicine, we treat all types of knee injuries, so we can come up with a comprehensive treatment plan for your kneecap pain. To find out more, contact Beverly Hills orthopedic surgeon Dr. Steven W. Meier today at 310.736.2793. Others can develop patellar tendinitis due to a prior tendon injury if they did not allow for the proper healing time before resuming activities. Teens and pre-teens, ages 10-16, may also be at risk for developing patellar tendinitis due to their high activity levels. The treatment for patellar tendinitis, rarely involves arthroscopic knee surgery, although a torn patellar tendon will likely require surgery. Rest, ice, anti-inflammatory medication, a brace, and stretching can all be utilized to help alleviate the pain from patellar tendinitis. Patellofemoral pain syndrome (PFPS) is a very common sports condition characterized by pain or discomfort originating from the underside of the patella. PFPS, also known as “runner’s knee” or “jumper’s knee”, is often caused by prolonged running and jumping as well as trauma to or dislocation of the kneecap. The prolonged forces acting on the patella thin the knee cartilage attached to the surface that articulates with the femur. This thinning causes pain due to decreased smoothness of tracking as well as increased friction of the patella as it moves over the femur. Who is at risk for developing PFPS? An orthopedic surgeon can check for PFPS, runner’s knee, or jumper’s knee by moving the patella and examining the surrounding cartilage. Treatment for PFPS often includes exercise programs, activity modifications, and rest. Sometimes, for certain patients who have significant symptoms, surgery may help. Patellofemoral instability is a condition where patients feel as though their kneecap, or patella, is “slipping out of place”. This condition can be caused by either laxity or tearing of the structural tissues which stabilize the knee. 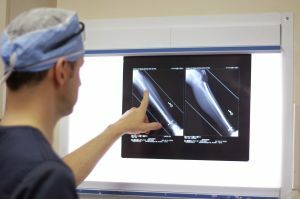 The treatment for patellofemoral instability in Los Angeles may utilize non-surgical techniques to strengthen the muscles and ligaments that support the knee. If the surrounding structures of the patella are torn, or too stretched to be of support, then surgical intervention may be required. If you have experienced any of these problems with your kneecap or are experiencing pain in or around the patella, you should meet with an orthopedic surgeon in Los Angeles to find out about your treatment options. Steven Meier, MD and his staff are highly experienced and can provide excellent treatment options designed to improve your overall quality of life. To find out more, please call to consult with our orthopedic surgeons at 310.736.2793 or fill out the contact form on our website and one of our office staff will contact you! Next, read about Knee Ligament Injury Treatment.